Important: this firmware update is only for the TM-616 and TM-626 devices. This firmware update is not for the TM-800 series (TM-818, TM-828, TM-838), TA-8000 series (TA-8010, TA-8015, TA-8020, TA-8025, TA-8030, and TA-8035), or older TA devices (TA-600, TA-800, and TA-900 series). Using the wrong firmware update can cause damage to your device. We have developed a new firmware update for the TimeMoto TM-616 and TM-626 time clock systems. The update includes improvements such as better communication and synchronisations between your time clock system and TimeMoto Cloud and PC Software. 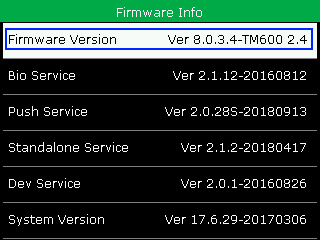 Please note: you only need to update your firmware if your current firmware version is Ver 8.0.3.4-TM600-01, 8.0.3.4-TM600 2.1, or Ver 8.0.3.4-TM600 2.4. To check your current firmware version, go to the [Menu] > [System Info] > [Firmware Info]. At the top you will find the firmware version. 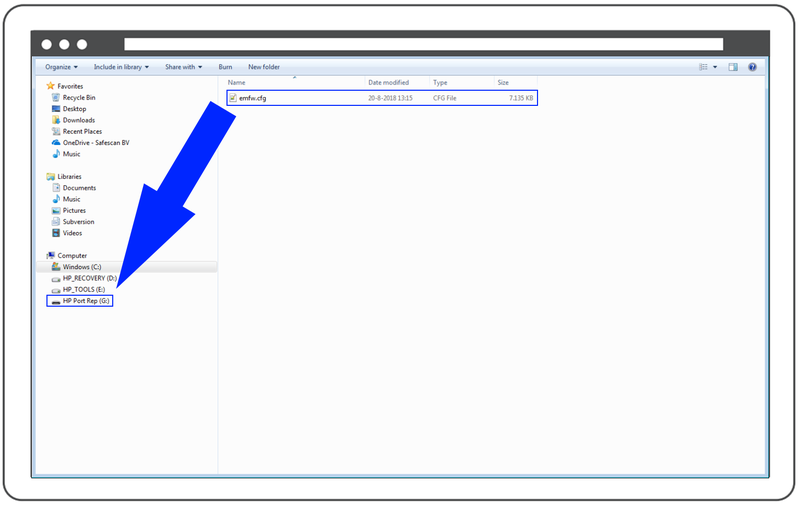 You can also check your device's current firmware version from within the TimeMoto PC Software, if your device is connected by LAN or WiFi. Select [Edit] > [Device], and click on the connected device. In the bottom of the window, you can see the current firmware under "Firmware". If your device can be updated, click on the "Update"-button. A page with the firmware files and these update instructions will open in your web browser. To upgrade your device you need to install a new firmware file on the device. Please click here to download the update file and save it on your computer. After downloading the file, unzip the file. Once you have extracted the files, you will see a file called emfw.cfg. Plug a USB drive into your computer. 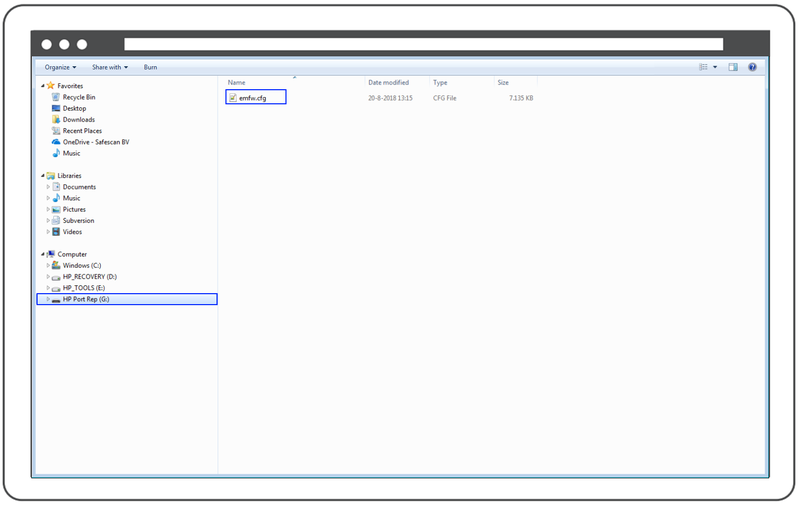 Copy the file emfw.cfg from the unpacked folder on to the USB drive. Copying the file to the USB drive should take only a few seconds. 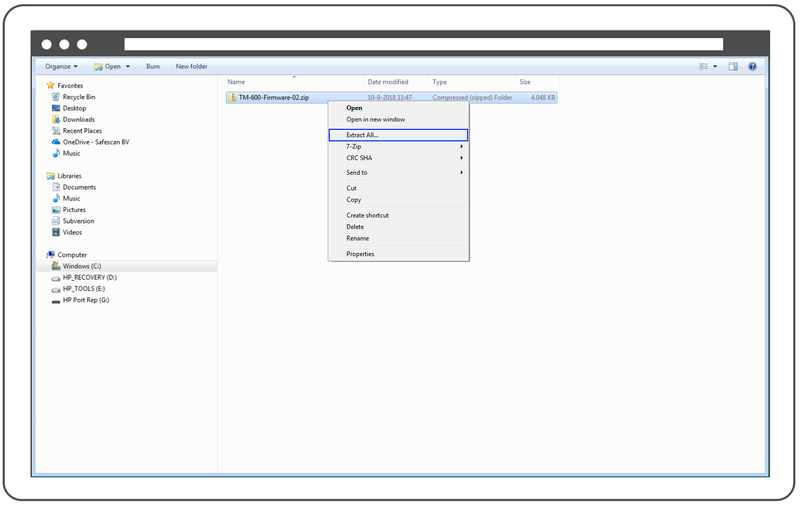 Click on the USB drive in your window to guarantee that the file has been copied into the root of the USB drive. Next, plug in the USB drive into the USB port on the side of your TimeMoto time clock system. 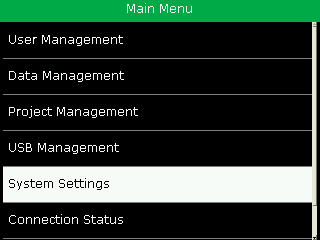 Open the Menu of the system, and select [System Settings]. Press [OK] to open the system settings. 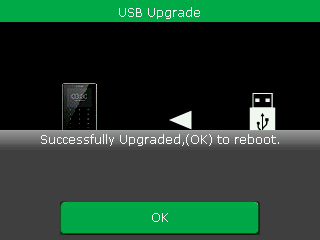 In [System Settings], navigate to [USB Upgrade] and press [OK]. The device will now apply the USB update. After the update has been successfully applied, the system has to be rebooted. Press [OK] to reboot the device. After the reboot, the system has been updated! 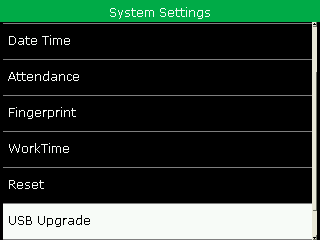 To check your firmware version, open the Menu of your time clock system and select [System Info] > [Firmware Info]. At the top you will find the firmware version. If the firmware version is changed to Ver 8.0.3.4-TM600 3.0, you have succesfully updated your software.